With Multiple Degrees and a Stable Job – Why Do They Still Leave? I recently received an application from a Philippine-based RN ‘dreaming’ to work in US. The application packet, although complete and very professionally prepared, was sent through the applicant’s mother’s friend’s friend — infamously and laughably a common cultural practice in the Philippines that seeped its way into the modern workplace and overseas. Known as the ‘padrino system’ or patronage, this is a system where one primarily gains favor through family affiliation or friendship before an applicant’s merit. The applicant is initially a BS Biology graduate of one of the best universities in the country, of which entries to both the system and the course program are cut-throat battles in the Philippine academe. Yet despite the laurels, the applicant immediately went back to school after graduation and took up BS Nursing. Armed with this new degree, he simultaneously applied to reputable hospitals in Metro Manila while diligently preparing for the exam administered by the Texas Board of Nursing. Bright and determined, the applicant succeeded in both: got a much desired job in a famous modern hospital and passed the Texas Board exam for nurses in one take. Unfortunately for the applicant, the visa classification for RNs and professionals is on retrogression so US is definitely not in the applicant’s horizon. Unfortunately for the Philippines, if not the United States, there will be other Western countries that will employ him. Unfortunately for all the developing countries in the world such as former African colonies, Carribean Islands, East Germany, Soviet Union, India, the case is not isolated in the Philippines. These countries’ brain drain is a brain gain to most highly developed North American, European and Asian countries. 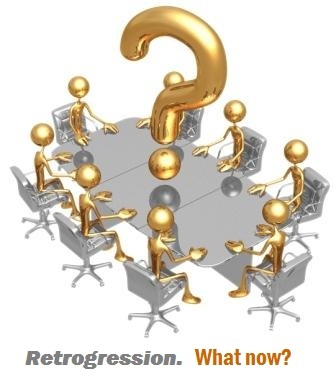 For more info on retrogression, click here for our previous post. This biologist turned RN wanting to work in US is a classic case of brain drain. Brain drain aka human capital flight is the not only the departure of educated or professional people from one country, it can also be from one economic sector, or field for another, usually for better pay or living conditions. Brain drain is often associated with de-skilling of emigrants in their country of destination, while their country of emigration experiences the draining of skilled individuals. Worse, a lot of these professionals emigrate to another country taking with them a fraction of value of their training sponsored by the government or other local organizations. They can’t be blamed though. They move to countries where their highly marketable skills are financially rewarded. Just to better illustrate the disparity in compensation, below is an official rate sheet of an RN working in an Upscale hospital in Metropolitan Manila. The current market rate of an RN working in an Upscale hospital in Metropolitan Manila. Cut this by half or third, and that’s the approximate salary of RNs working in less prestigious hospitals. Some RNs don’t even get paid and many others pay the hospital in order to get work experience. This is the salary equivalent in US dollars based on $43.00-Php 1.00 exchange rate. Salaries in converted to US dollars. Illustrated below is the estimated annual compensation of Med-Surg and CCU RNs in Metro New York as published by http://www.salary.com. A Med Surg nurse’s median annual salary is $76, 937 ($6,412/month) while a CCU nurse gets $ 77, 303 ($6,442/month) based on a 35-40 hour work week. Visa Retrogression – What does it mean to professional immigrant workers? Before June of this year, there were two major visa categories that are popular among professional immigrant workers: the H1b Visa aka work visa and EB2 or the greencard route. H1B visa is a non-immigrant visa that allows US employers to temporarily employ professional foreign workers in specialty occupations. On the other hand, EB2 Visa is a permanent residency route for professionals holding advanced degrees (Ph.D., master’s degree, or at least five years of progressive post-baccalaureate experience) or persons of exceptional ability in sciences, arts, or business. Unfortunately, the USCIS has announced that the 2013 H-1B visa cap has been reached as of June 11th. Any cases received after June 11th will be rejected and returned with filing fees uncashed. However, the rejected and would-be applicants may file again next fiscal year. The next blow is that the July 2012 visa bulletin shows that the ‘worldwide EB2′ visa category has retrogressed almost 3 years. This is the one category that remained consistently ‘current’ in recent years (together with EB1). Photo from http://redbus2us.com. Edited by author. For more information about RETROGRESSION, click this link. For USCIS Visa Bulletin, click here. What does RETROGRESSION mean to professional immigrant workers and their employers? This could mean long waiting times for green cards. This means job employment offers need to be rewritten or projects be off-shored. In uncertain cases such as this, not much can be done than to persevere and tuck growing disappointment. There are surely other legal routes to continue working in America while hoping that these two visas will be available again soon. US immigration system is not ideal and reform is essential to ensure Uncle Sam does not lose talented people to help boost the economy and create jobs.Right now, all that is left to do is wait. Let us see what the future has in store. Disclaimer: This is a post written from a layman’s perspective and should not be regarded as an immigration advice. For valid legal advice, consult an immigration lawyer.